Quick & Easy Holiday Style! 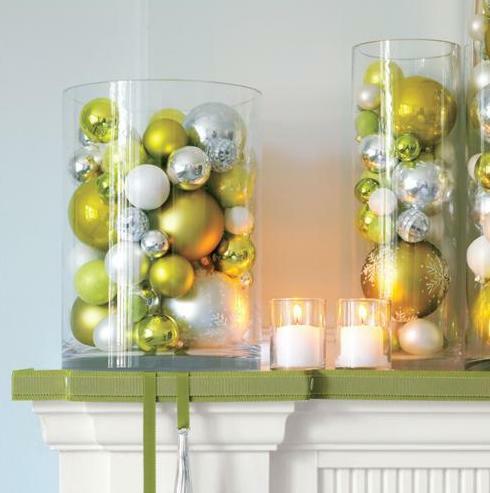 Ring in the holidays with these 9 quick, easy yet still chic decor ideas to get your home ready for this holiday season. Courtesy of Style at Home, there is some great holiday decor ideas in here just like in the photo below where they just simply put some nice ornaments in a glass vase. Believe it or not, you can get ornaments exactly like these at the Dollar Store in a ton of different colours and styles. One of my faves is where they paint pine cones with white out and put them in a nice bowl as a center piece! So easy and it looks great!